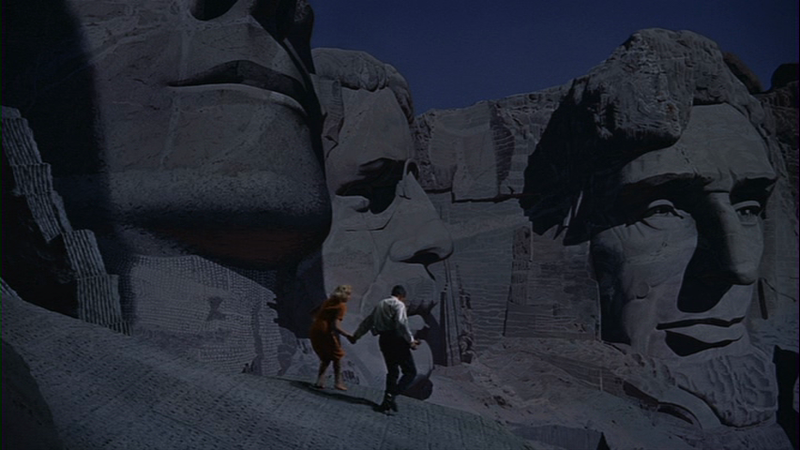 More stylish than it’s suspenseful, “North By Northwest” seems to fill the “action movie” niche in Alfred Hitchcock’s repertoire of filmmaking. Not unlike his earlier “39 Steps”, this espionage-laden foray follows the trials of the subtly charming, contemporaneously handsome bachelor, wrongfully accused and on-the-run. With a plot that accommodates the anxieties of nuclear war, the nearly-always cunning Cary Grant is a big city advertising man mistaken for a high-profile, top-secret spy, inadvertently becoming involved in a mess of international bureaucratic affairs. With the obligatory Hitchcock blonde thrown in for dramatic shifts in storyline, the viewer follows one of America’s most wanted through his own search for the spy he’s been mistaken for and some degree of explanation to his most-recent state of affairs. 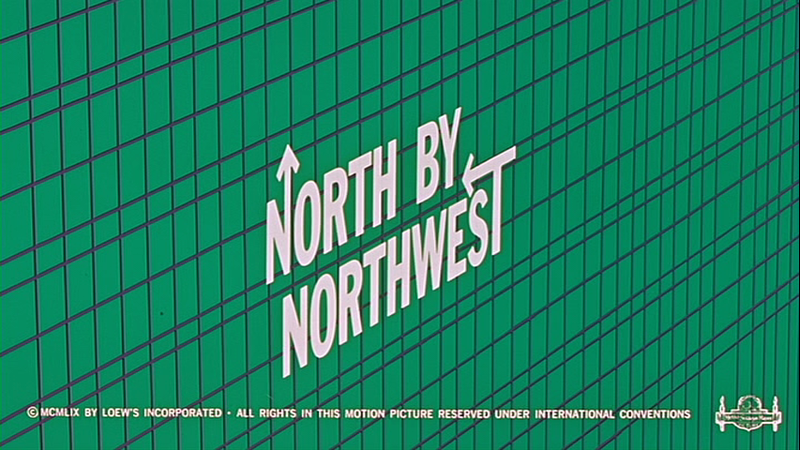 When describing “Northwest” as an action movie, light on suspense, the intent is not to include any negative connotations with that assessment. Rather, the statement can be clarified by describing this movie as the filmmaker’s pretext for explosions and epic standoffs on the face of Mount Rushmore [A grueling battle between American and Soviet forces on one of the most iconic displays of United States patriotism—surely this scene is rife for political parsing] the end product being unprecedented cinematographic feats. Without spending too much time gushing over the opening graphics, I wanted to point out the first sequence for it’s aesthetic quality. 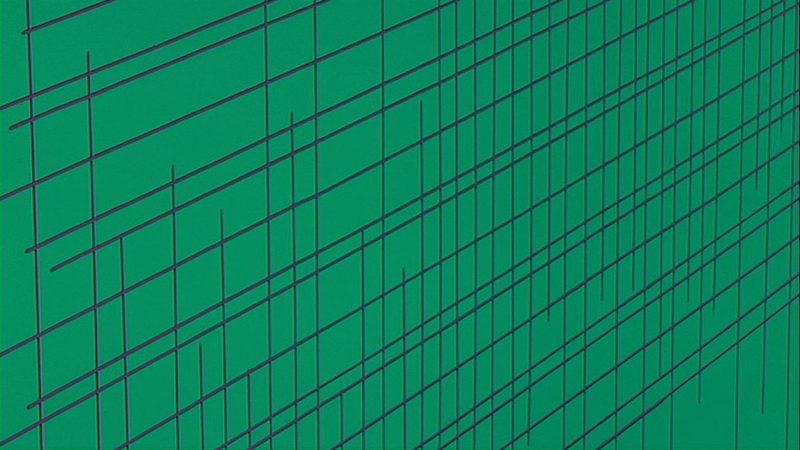 A screen of green appears first, quickly followed by the development of a grid that serves as the initial backdrop for the title credits. 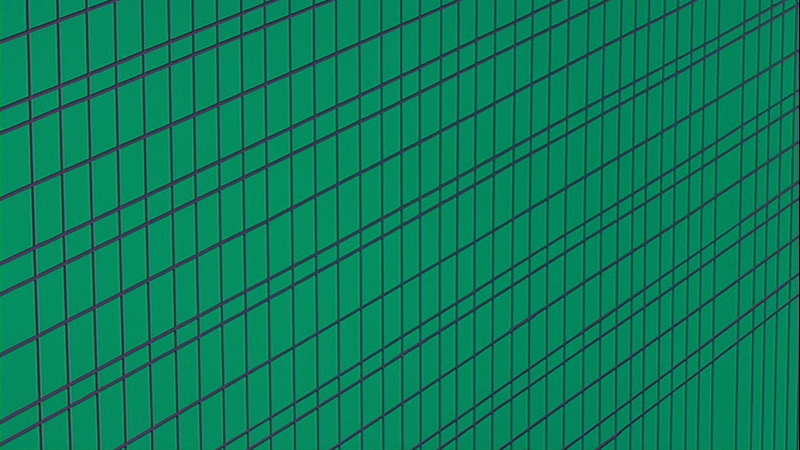 This image eventually dissolves into the façade of a urban business building of matching line, the shiny windows reflecting the activity of the street. 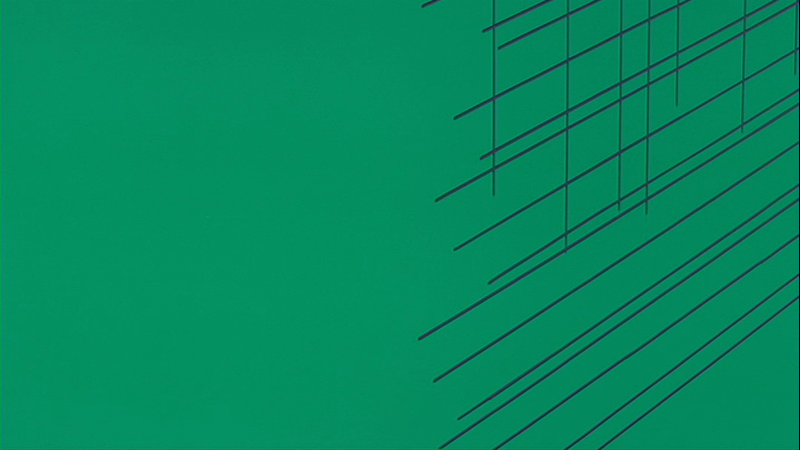 Attractive for its play on pattern and architecture, this small detail in the movie is a pleasure, though I can not actually ascribe any significance to it other than its flashiness (which is okay). Secondly, The scene outside of the U.N. Headquarters in New York is totally stunning! 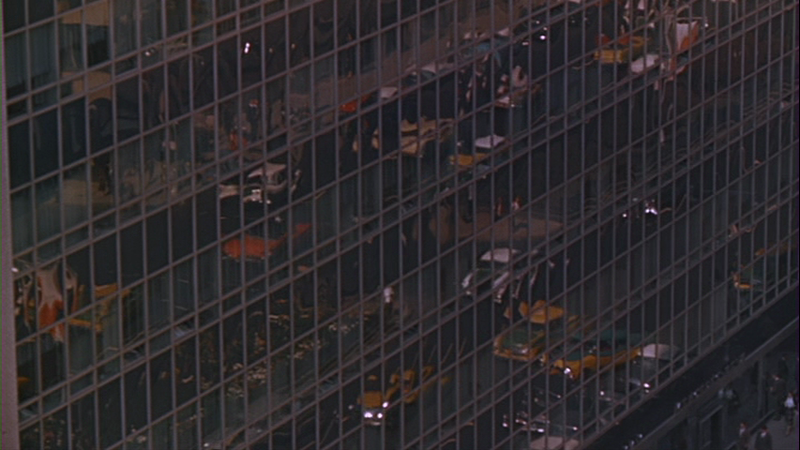 Easily the strongest composition in the whole movie, the aerial view of Cary Grant fleeing from avengers after a conspicuous knife in the back of a delegate looks more like a futurism painting with slight movements on what appears as the street-level. 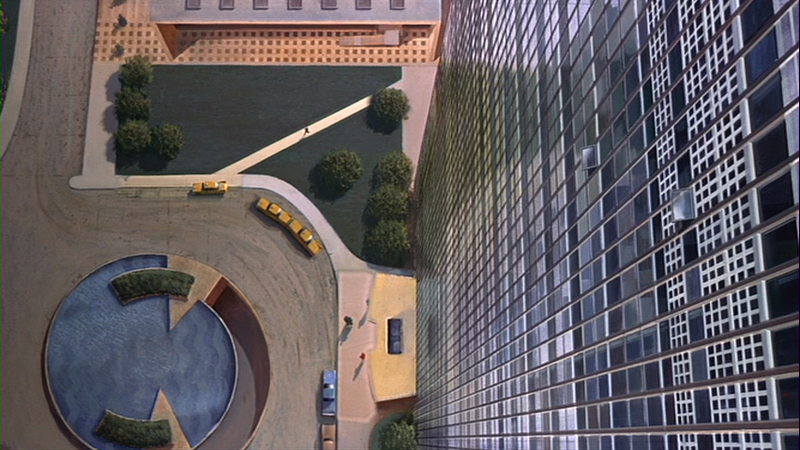 Using the architectural grid to enhance perspective, this shot provides a view of the man as microcosm, a rare chance (along with the Indiana scene) to examine the main character from afar and relative to his surroundings, placing him and his problems not it a confined space or set but in a context much larger, an expansive scene beyond the frame of the picture. 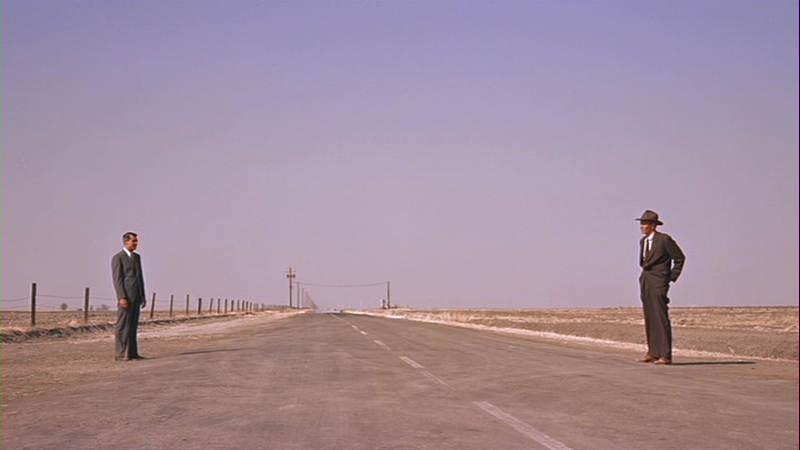 The final scene I wanted to bring forth is the one in which Grant is placed an hour-and-a-half outside of Chicago, apparently in rural Indiana [though actually California], and met with moments of escalating tension. 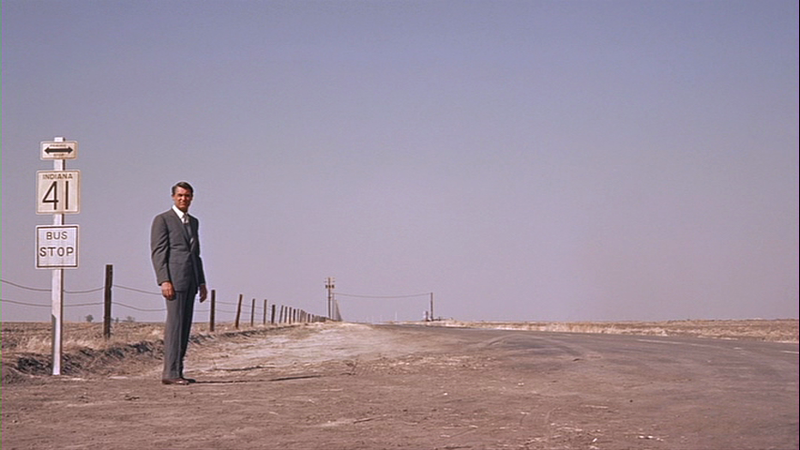 Beautiful for it’s bareness and it’s stark contrast to the movie that takes place mostly in cities and on a train [Hitchcock seemed practically obsessed with the locomotive], it’s a pleasure to see Grant clad in his business attire, looking as if he were on the edge of civilization. 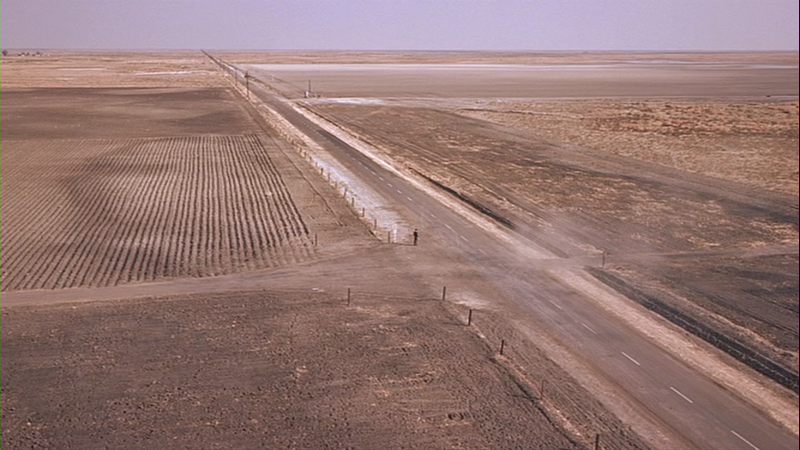 In the open landscape, a man waiting for the bus across the road from Grant becomes profound. A remark by the stranger about the crop-duster in the distance proves to be foreshadowing for the death-defying chase about to ensue. 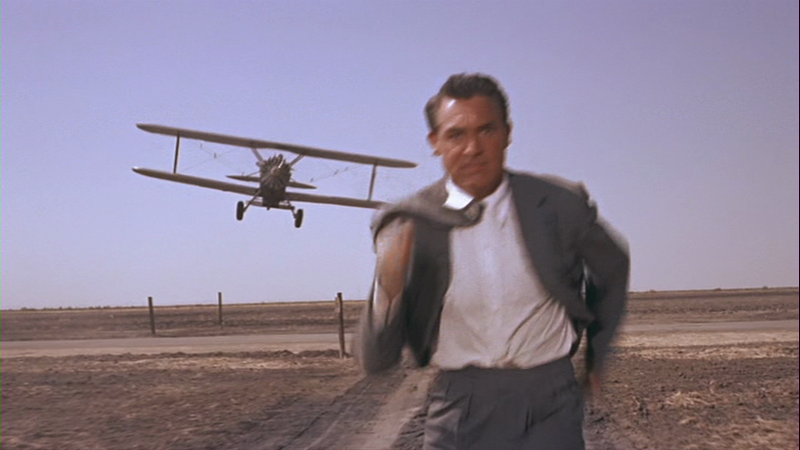 Seeing Cary Grant run away from a low-flying plane, shooting at him and dusting him with pesticides, is an exciting movie moment. 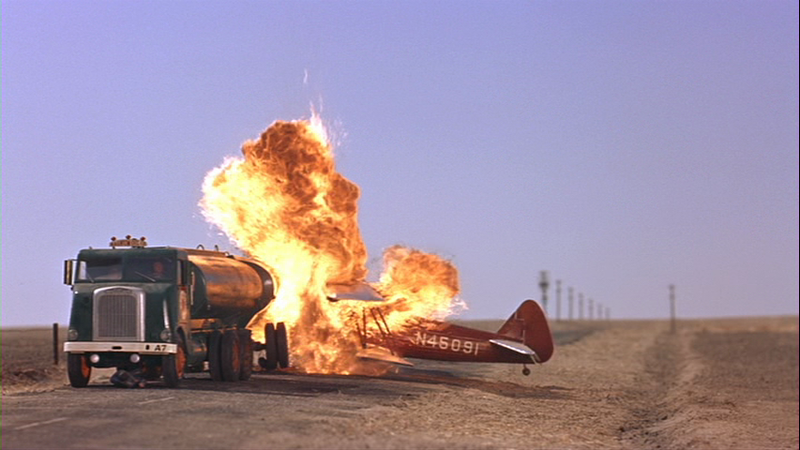 When he stands in front of a large truck with oil barrels in tow, the crash that proceeds is literally explosive, truly the stuff any good action film must necessarily be made of. 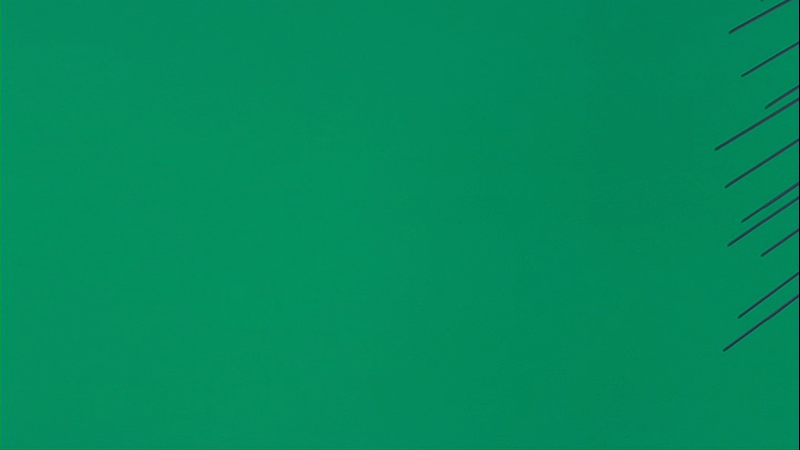 After taking some screen captures of the scene, I suppose I revealed to myself some of the magic, or miniaturization for that matter, of movie making. 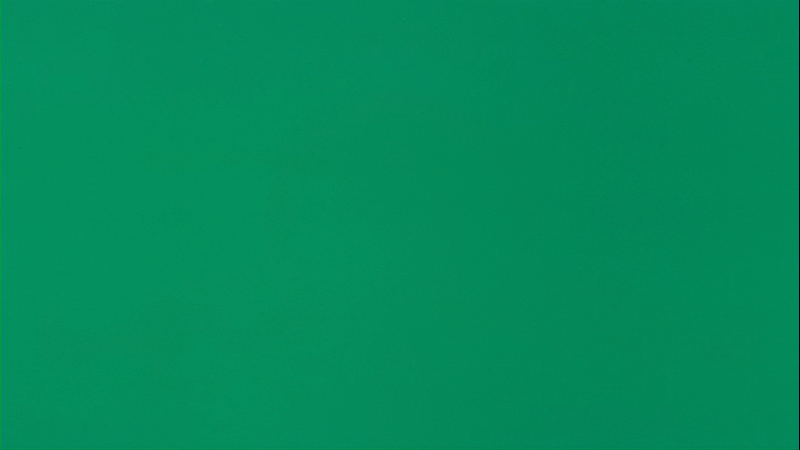 Regardless, this is still a standout scene in a movie of exacting execution by a brilliant director. This entry was posted in Uncategorized and tagged 39 Steps, Action movie, Alfred Hitchcock, Cary Grant, cold war, Mt. Rushmore, North By Northwest, trains. Bookmark the permalink.